M. Reqqass, A. Lakhouaja, A. Mazroui, I. ATIH, “Amelioration of the interactive dictionary of Arabic language“, International Journal of Computer Science and Applications (IJCSA), Vol. 12, N° 1, pp. 94–107, 2015. M. Ould Abdallahi Ould Bebah, A. Chennoufi, A. Mazroui, A. Lakhouaja “hybrid approaches for automatic vowelization of Arabic texts”, International Journal on Natural Language Computing (IJNLC), Vol. 3, N° 4, pp. 53-71, August 2014. M. Ould Abdallahi Ould Bebah, A. Meziane, A. Mazroui, A. Lakhouaja, A. Boudlal, “A morpho-statistical approach for automatic diacritization of Arabic texts”, Communications of the ACS, Vol. 5, N°.1, (2012). A. Boudlal, M. Bebah Ould Abdallahi Ould, A. Lakhouaja, A. Mazroui, A. Meziane, “A Markovian Approach for Arabic Root Extraction“, IAJIT journal Vol.8, N°.1 (2011) 91-98. Zeroual, I., Lakhouaja, A. “A Comparative Study of Standard Part-of-Speech Taggers”, The the International Conference on Advanced Intelligent Systems for Sustainable Development Applied to Agriculture, Energy, Health and Environment (AI2SD), July 12-14, 2018, Tangier, Morocco. El Kah, A., Zeroual I., Lakhouaja, A., “Online game for dyslexia prediction for Arabic primary schoolers”. Technological Innovation for Specialized Linguistic Domains, Ghent, Belgium, May 24-26, 2018. I. Zeroual, A Lakhouaja, “Towards a Multilingual Aligned Parallel Corpus”, 1st International Conference of High Innovation in Computer Science (ICHICS’16), June 01-03, 2016, Kenitra, Morocco. 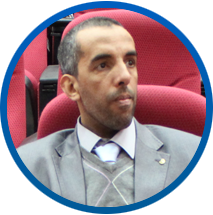 I. Zeroual, A Lakhouaja, “Adapting a decision Tree based Tagger for Arabic”, Second International Conference on Information Technology for Organizations Development, March 30 – April 1st, 2016, Fez, Morocco. I. Zeroual, A Lakhouaja, “Al-Mus’haf Corpus: A New Quranic Corpus rich in Morphosyntactical Information and accurate Part of Speech tagging”. International Workshop on Computers and Information Sciences. -WCIS 2015. October 7-8, 2015, Tabuk, Saudi. I. Zeroual, A Lakhouaja, “A New Quranic Corpus rich in Morphological Information”, 5th International Conference on Arabic Language Processing. -CITALA 2014-. November 26-27, 2014, Oujda, Morocco. El Kah, A. Lakhouaja, “Arabic games system for dyslexic learners”, fifth International Conference on Arabic Language Processing (CITALA) 2014, November 2014, Oujda, Morocco. M. Reqqass, A. Lakhouaja, A. Mazroui, M. Bebah, “Conception et réalisation d’un système de production de dictionnaires arabes respectant la norme LMF”, fifth International Conference on Arabic Language Processing (CITALA) 2014, November 2014, Oujda, Morocco. M. Reqass, A. Lakhouaja, A. Mazroui, I. ATIH, “Amélioration du Dictionnaire Interactif de la Langue Arabe“, proceeding of the 9th International Conférence on Intelligent Systems: Théories and Applications (SITA’14), 07-08 May 2014, Rabat, Morocco. M. Ould Abdallahi Ould Bebah, A. Mazroui, A. Lakhouaja, A. Chennoufi, “Approche morpho-statistique pour la voyellation automatique des textes arabes“, proceeding of the 8th International Conference on Intelligent Systems: Theories and Applications, Rabat (Morocco), May 08-09 2013. A. Mazroui, A. Lakhouaja, A. Meziane, M. Ould Abdallahi Ould Bebah, A. Boudlal, “A morpho-statistical approach for automatic diacritization of Arabic texts“, proceeding of the “6th International Computing Conference in Arabic Information Technology”, Riyadh (Saudi Arabia), 31 May-2 June 2011. A. Mazroui, A. Lakhouaja, A. Meziane, M. Ould Abdallahi Ould Bebah, A. Boudlal, M. Shoul, “Alkhalil Morpho Sys1“, proceeding of the International Arab Conference on Information Technology, Benghazi (libya), 14-16 December 2010. A. Mazroui, A. Lakhouaja, A. Meziane, M. Ould Abdallahi Ould Bebah, A. Boudlal, M. Shoul, “Alkhalil Morpho Sys“, proceeding of the 6th International Computing Conference in Arabic Information Technology, Hammamat (Tunisie), 19-21 May 2010. A. Mazroui, A. Boudlal, R. Belhbib, A. Lakhouaja, A. Meziane, M. Ould Abdallahi Ould Bebah, “markovian An approach for Arabic root extraction“, proceeding of the International Arab Conference on Information Technology, Hammamat (Tunisie), 16-18 December 2008. A. Mazroui, A. Boudlal, R. Belhbib, A. Lakhouaja, A. Meziane, M. Ould Abdallahi Ould Bebah, “A Morphological Analyzer for Unvoweled Arabic Words“, proceeding of the Information and Communication Technologies International Symposium (ICTIS’07), Fez (Morocco) 3-5 April 2007. A. Mazroui, A. Boudlal, R. Belhbib, A. Lakhouaja, A. Meziane, M. Ould Abdallahi Ould Bebah, “Développement d’un analyseur morphologique des mots arabes non voyellés“, Actes du Colloque International sur l’Informatique et ses Applications IA2006, Oujda 2006, pp 293-297. A. Mazroui, A. Boudlal, A. Lakhouaja, A. Meziane, A. Serghini, “Réalisation d’un conjugueur automatique des verbes arabes“, Actes du Colloque Arabic Language Processing JETALA 2006, Rabat 2006, pp 97-103. I. Zeroual, M. Boudchiche, A. Mazroui, A. Lakhouaja, “Improving Arabic light stemming algorithm using linguistic resources“, Second national day of Arabic language engineering (JDILA’2015), Fez (Morocco), 28-29 October 2015. A. Mazroui, M. Boudchiche, M. Ould Abdallahi Ould Bebah, A. Lakhouaja, “The morphological analyzer Alkhalil Morpho Sys2“, First national day of Arabic language engineering (JDILA’2014), Rabat (Morocco), February 2014. I. Zeroual, A Lakhouaja, “Clitic Stemmer : A new Stemmer for Arabic language ,First National Doctoral Symposium in the field of Arabic Language Engineering, (JDILA’14), February 8, 2014, Rabat, Morocco. عبد الحق لخواجة، عز الدين مزروعي، محمد رقاس، محمد ولد عبد الله ولد بباه، ” التصميم الحاسوبي للجذاذة والمدونة“، كتاب نحو معجم تاريخي للغة العربية، المركز العربي للأبحاث ودراسة السياسات، الدوحة، قطر، أبريل 2014، ص. 369- 404 (مجموعة مؤلفين). عز الدين مزروعي، عبد الحق لخواجة، محمد رقاس، محمد ولد عبد الله ولد بباه، ” البرامج الحاسوبية المستخدمة في بناء المدونات المعجمية وتدبيرها: دراسة تقويمية “، كتاب نحو معجم تاريخي للغة العربية، المركز العربي للأبحاث ودراسة السياسات، الدوحة، قطر، أبريل 2014، ص. 405-428 (مجموعة مؤلفين). محمد ولد عبد الله ولد بباه، عز الدين مزروعي، عبد الحق لخواجة، عبد الوافي مزيان، شنوفي أمين، مقاربة جديدة للتشكيل الآلي باستخدام برنامج الخليل للتحليل الصرفي“، اللسان العربي، المنظمة العربية للتربية والثقافة والعلوم، 2013، ص. 19-49.